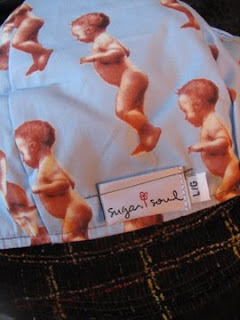 Sugar Soul Studio: Baby Bums...WHAT?! The One of a Kind Show is just days away and I am really excited about heading to Vancouver. This will be my first show outside of Alberta and it is also the largest show I have ever done. With such a lot of sewing and preparations left to do, I had to wind up my seasons at Sherwood Park's Festival Place Market a couple of weeks ago and at Edm onton's City Market last weekend. 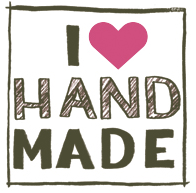 Thank you to all my customers this summer-your bright, cheery and supportive attitudes are what make the outdoor markets so fun to be a part of! I'm already looking forward to next May, when we start up again. Headcase Hats and Sabrina Butterfly will have a brand new batch of hats in mid-October, including the popular aviator/ear flap hats that I introduced last year. Fully lined with fun fur, I've attached handmade pom poms on the ends of extra long tassels. They are the perfect edition to a Canadian's winter wardrobe (sorry to mention the W word)! Before I head back to my sewing machine for the rest of the morning, I just had to show you my new labels and share the strangest fabric that I've ever used to line a hat. Cute? Weird? A bit of both?! It makes me laugh.